Now a days different kinds of shoes and sandals are very much in fashion and every brand related to girls and women footwear try to make different styles of shoes that are awesome, glamorous and has unique designs. As competition is very tough, old and new shoe brands are gearing themselves up to beat their competitor in this race. 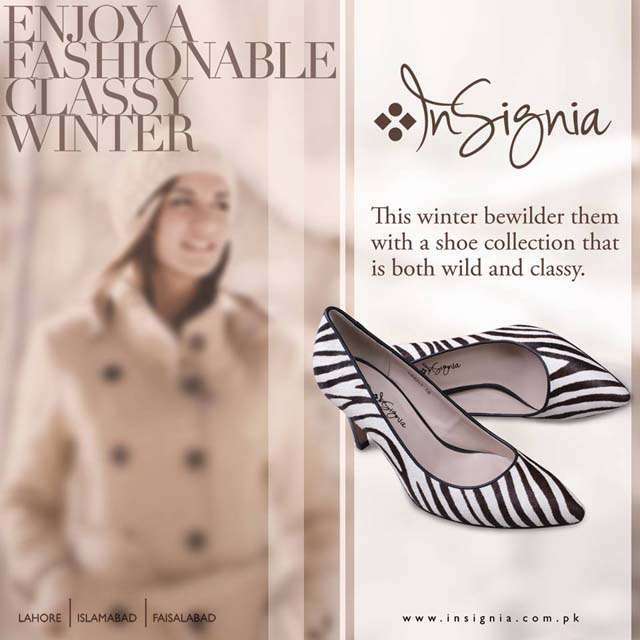 Insignia is one such name who came in Pakistan in 2011 and is giving a very tough time to its competitors. Their attractive colors, designs and quality is the reason for its success. This is the topic of our today’s post. 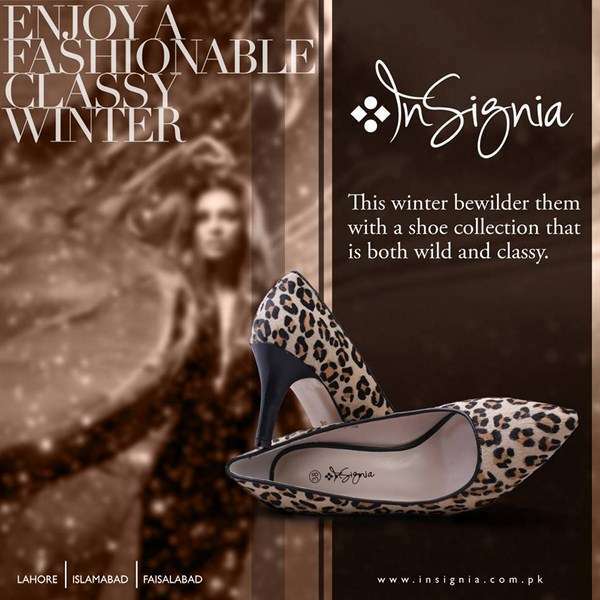 We present the Insignia Shoes Collection 2014 for all our readers who love to wear and buy unique shoes. 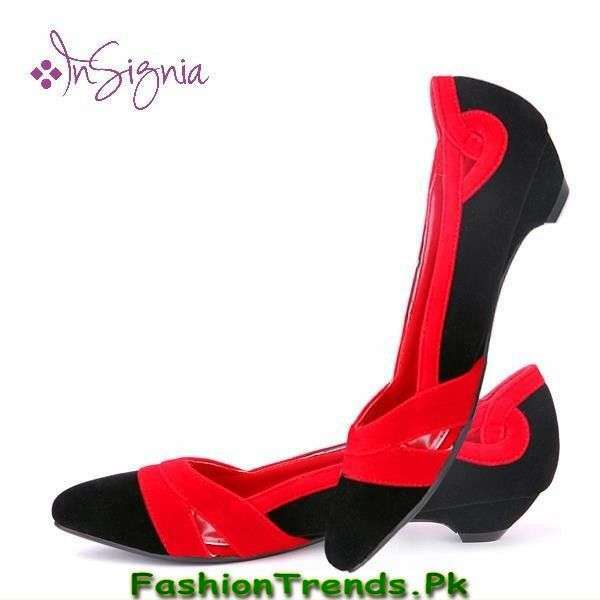 As winter season is on, girls and women are busy buying the footwear for their winter dresses. 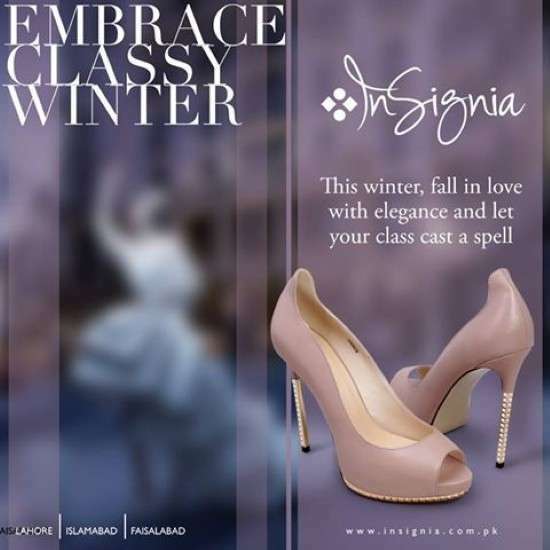 There are some well-known brands in our country in this respect, but Insignia is the latest brand of shoes and sandals to provide the perfect match of footwear according to every season and occasion. Their shoes are though expensive, but once bought will last for quite a couple of years and you will not be disappointed. Their shoes are present in two categories generally, high heels and flat sole. 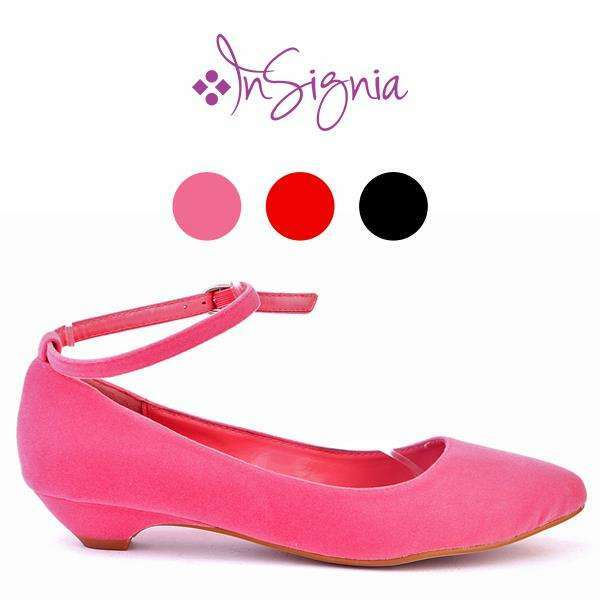 Insignia is not only one of the leading brand in shoes but they also offer high quality clothes as well.The shoes and clothes they have launched are unique and in different colors which are perfect for today’s fashion. They set their collection with the casual, formal, party, wedding and many different occasions. The colors blends are both bright and light like, blue, yellow, black, pink, beige and brown etc. So, here we present some of the best shoes from its collection for all our readers. 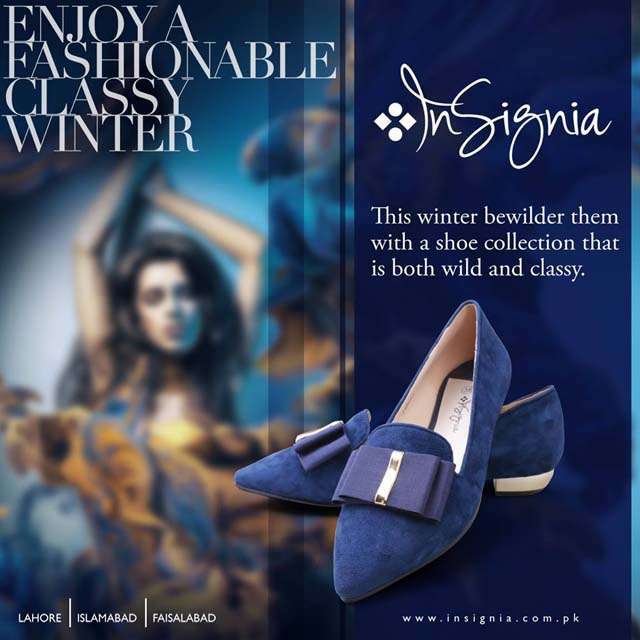 Insignia launched Eids collections and some more seasonal as well as occasional offers for us from their exclusive stocks and range. You can search insignia collection very easily by visiting their web site or face book fan page. You can see their collection on all outlets in the country. 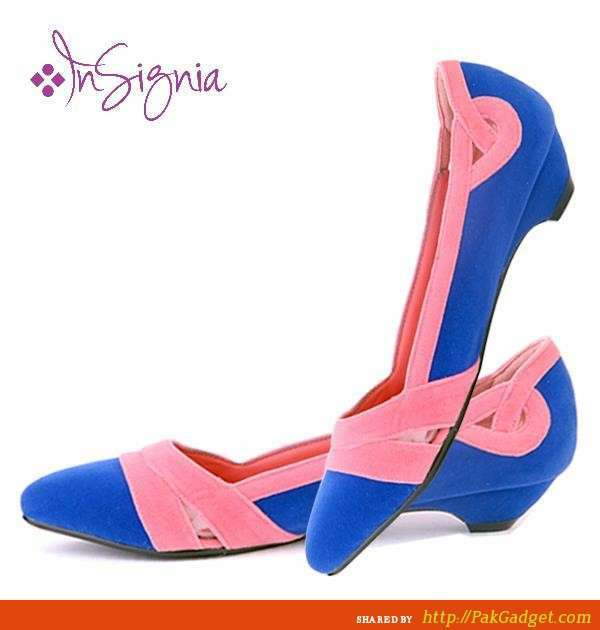 Now in this article we show you some shoes, sandals and slippers of insignia collection. You can leave your remarks and opinion by visiting all the sites and share your experience about this brand.